Dette pinnsvinhuset er designet for å være en attraktiv bolig for pinnsvin. Hulen har en rustfri stålramme og et vanntett tak med en naturlig finish og et inngangsparti som kan forsvares mot rovdyr. 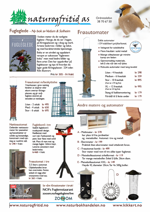 Utformingen gjør at huset glir naturlig inn i hagen. 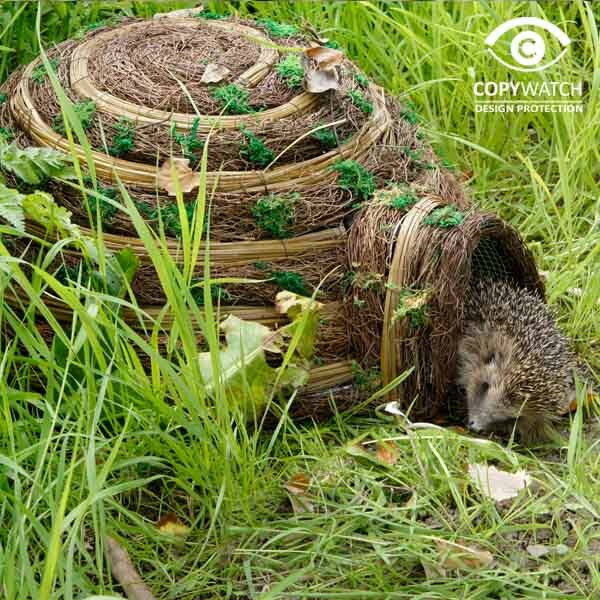 The wicker Igloo House offers hedgehogs and other mammals a safe retreat from the many hazards of modern life such as garden strimmers, forks and tools, pets and other predators such as badgers and foxes. This habitat is much safer than the compost heap or bonfire where hedgehogs are in danger from get forked with garden tools or burnt alive. The round painted steel frame has a water-proofed roof which is covered with a brush wood finish decorated with withy bands and camouflaged with moss trim.